Painting furniture is what I do. I paint furniture to sell in my booth and I paint furniture for clients. This project is for a client. The set of matching bedroom furniture belonged to the client’s dad and she wanted it updated for her sons, two year old Alex and the new arrival expected in early February. Don’t you just love the fact that the bedroom furniture going to the boys belonged to their grandfather?? We decided that gray with a pop of yellow would be perfect for the boys rooms. 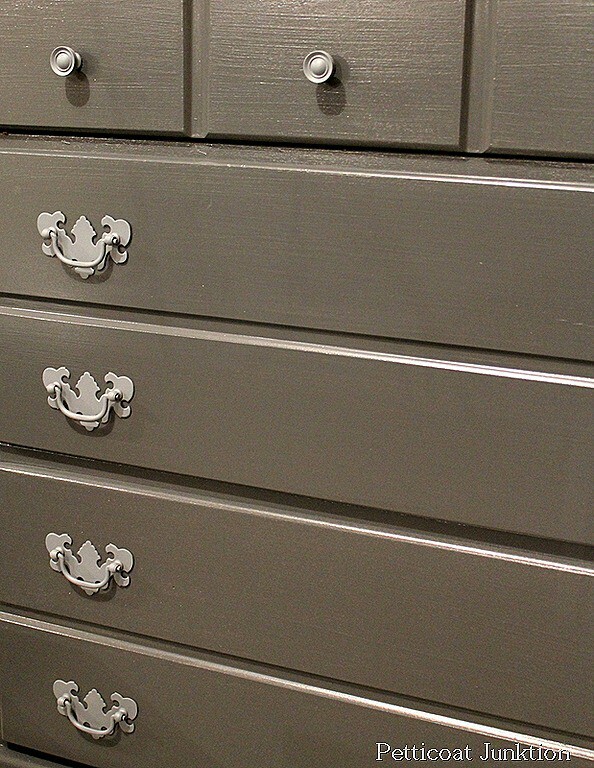 Gray is a neutral color and fits just about any decor. I selected Behr Premium brand paint for this project. 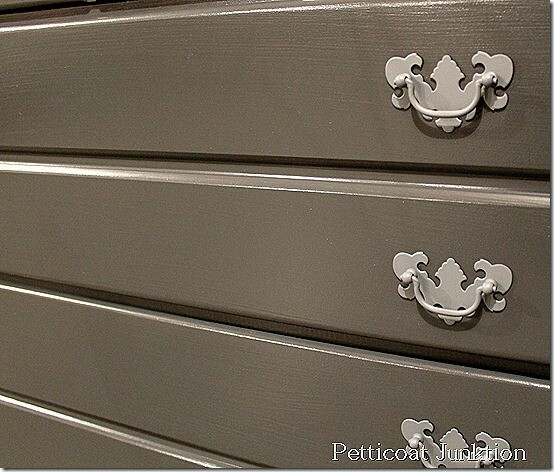 The client was thinking of changing the hardware but with 36 pieces to replace we decided just to paint them the same gray as the furniture. 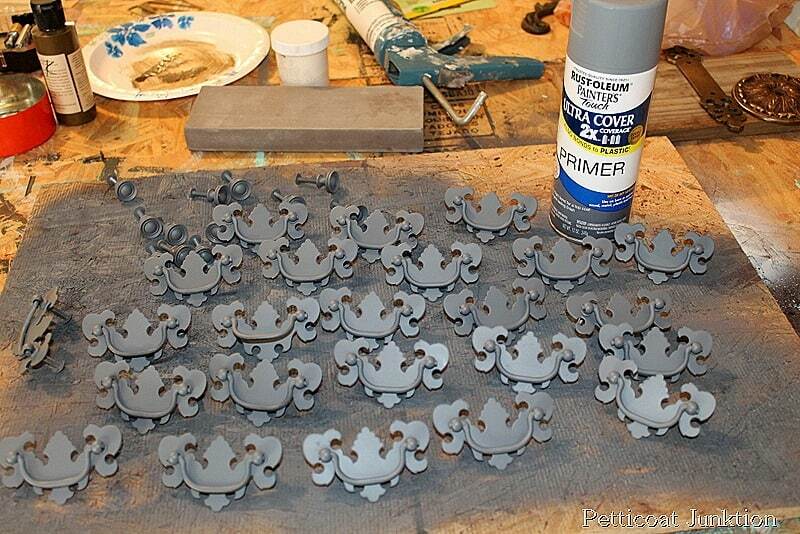 I spray painted them with Rust-o-leum gray primer to prep them for the top coat of paint. 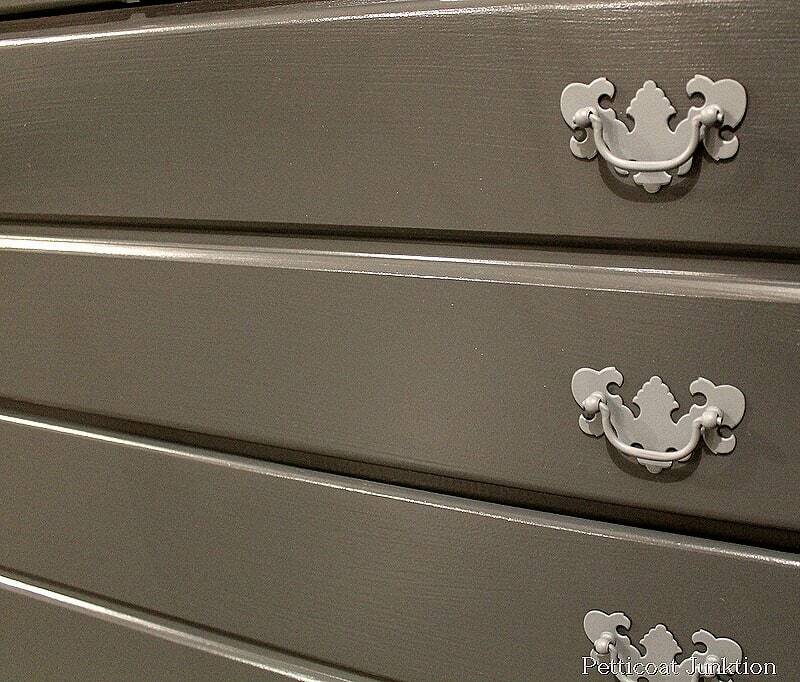 Looking at the primed hardware while painting the furniture, I thought how nice the two colors looked together. I took some quick pics and emailed them to the client who agreed with me, so we left the hardware with just the primer coat. I think the flat primer against the semi-gloss gray really works. 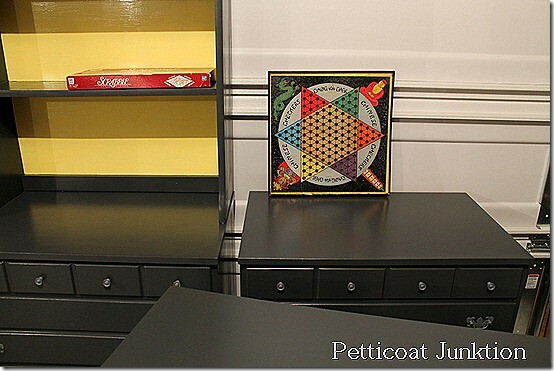 I applied two coats of the semi-gloss gray paint and three coats of yellow to the back panel of the bookshelf. Painting those bookshelves drives me crazy. 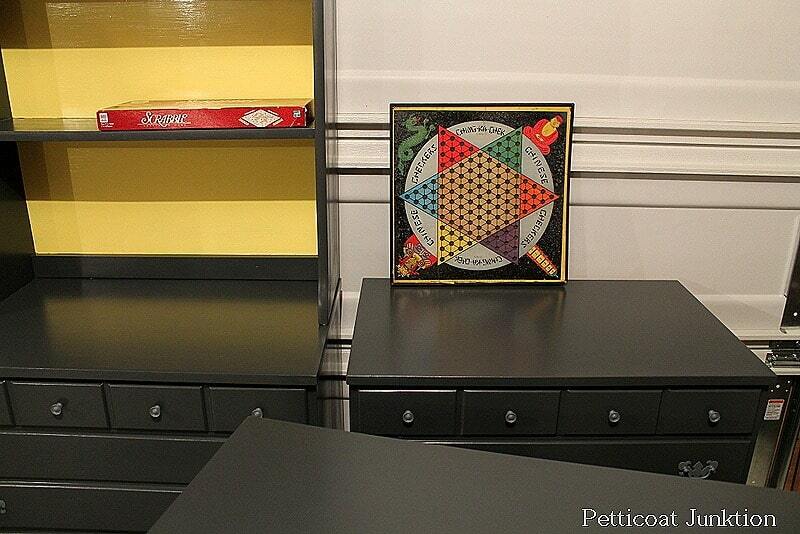 I should have removed the back of the bookcase/shelf before painting it but I didn’t. I used a lot of painters tape. I’m on the lookout for a chair with a padded seat for the desk. I want to paint it yellow and cover the seat with yellow and gray print fabric or maybe…….drop cloth? I really liked the drop cloth seats on my latest chair makeover and the drop cloth would definitely go with the gray. I love the color choice. The client did a good job. 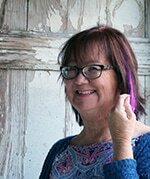 The gray is stylish and perfect for any age, so as the boys grow she will not need to have it updated. Hey, this isn’t the first time I’ve used primer as a paint finish. It works. Lovin’ the yellow and gray! What do you guys think. I hear from “experts” that latex paint isn’t for furniture. I disagree. 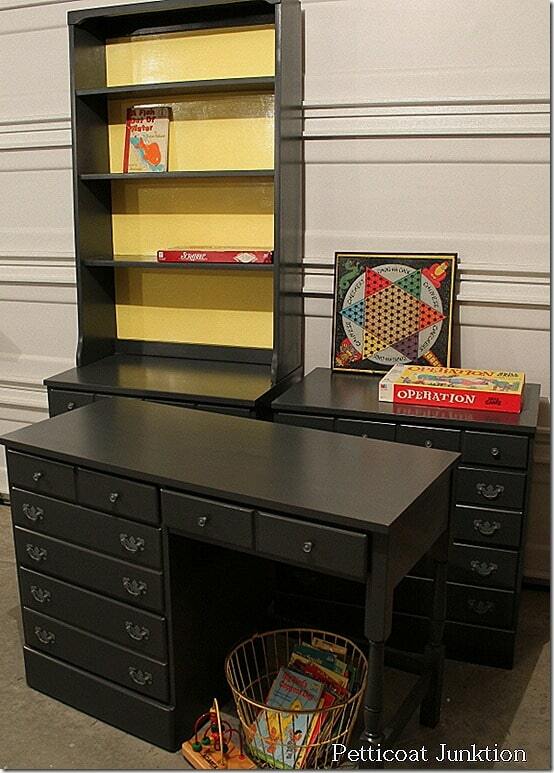 I have two sets of this Ethan Allen kids furniture. 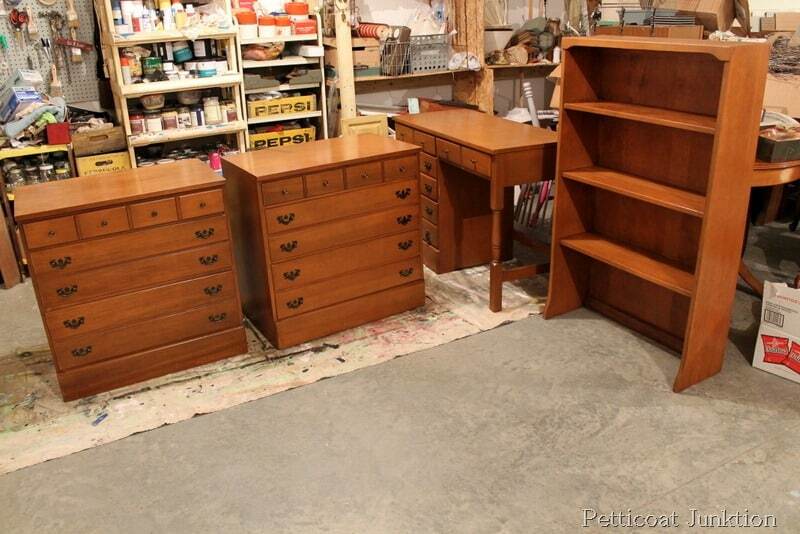 Did the tops of the furniture have the hard platic coating? If so did you, just paint right over it or did you use a primer? 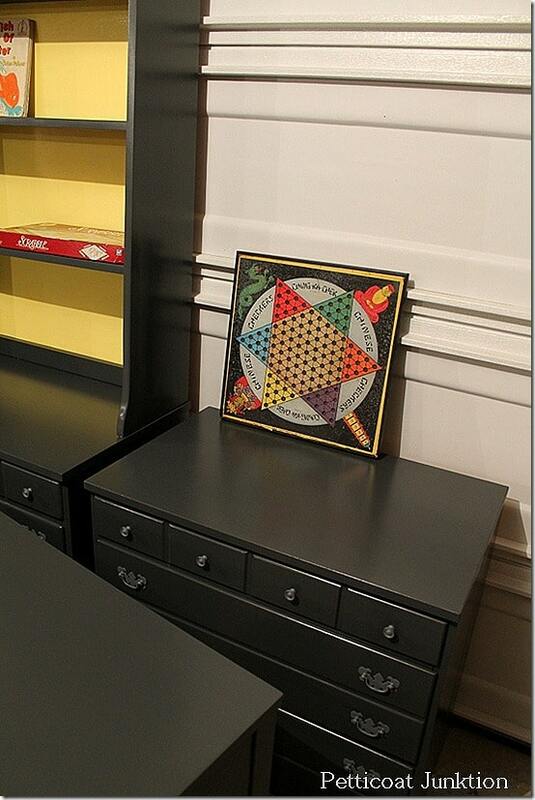 Ethan Allen! great stuff. 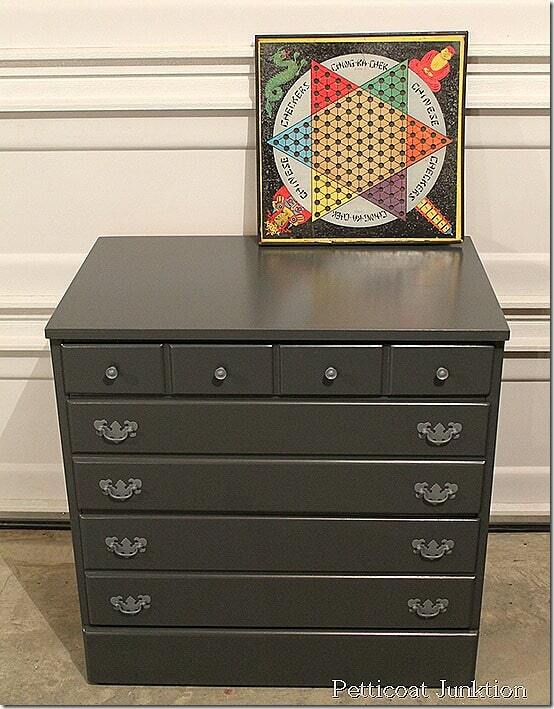 I used Glidden Grey Gripper primer which they don’t make anymore but you can have the Glidden White Gripper tinted Gray. It’s my favorite primer! Happy Painting! I love your projects. Absolutely beautiful! I would like to know if you use a top coat on the top of your pieces and how you avoid the ‘stickiness’ of latex. Thanks! Sherri, I don’t use a top coat unless it is a dining table. I don’t find the latex to be sticky. What kind are you using? Hi Kathy, I first want to tell you how much I love your work. 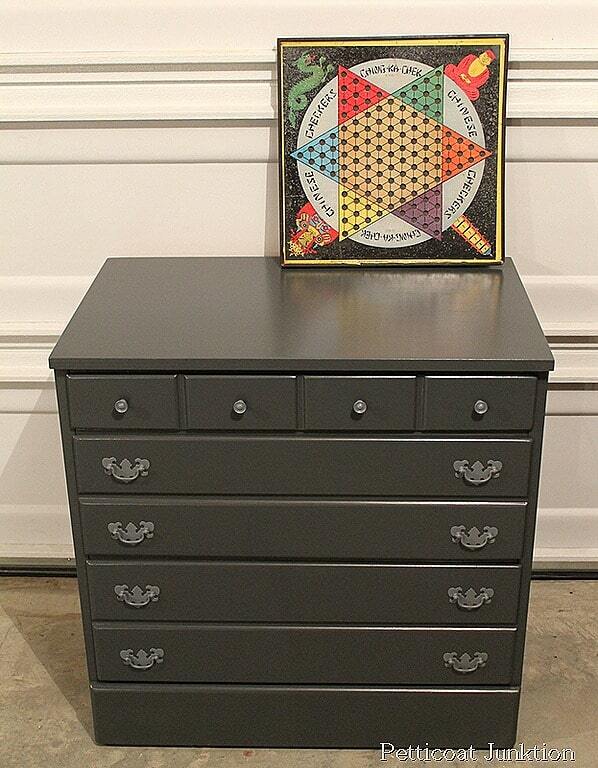 The gray furniture came out BEAUTIFUL!!! I have to ask you how you got the finish so smooth looking, you can hardly see any brush stokes, how were you able to do that? Did you use something in the paint to reduce the brush mark? Please advise as I am going to refinish a dressing table for my son and daughter in law for their new little on coming in July. Thank you for any help you can give. Hi Debbie, thank you for the complement and also the question. I use a cheap paint brush usually and sometimes I use the 4 inch foam rollers. Sometimes the foam rollers work great and sometimes the paint will bubble a little as you roll it on. I don’t know what the difference is when it bubbles….if it’s the paint or the foam roller. I usually will have at least some light brush marks but the type of paint may have something to do with it. When I use latex paint I prefer Behr Premium Latex and that’s what I used on the Gray pieces. Have fun painting and congratulations on the grandchild! 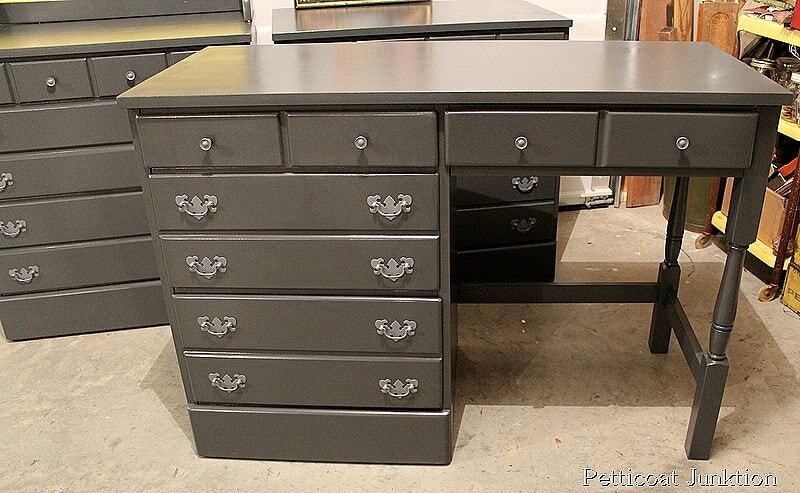 Love that dark gray… what a great color. 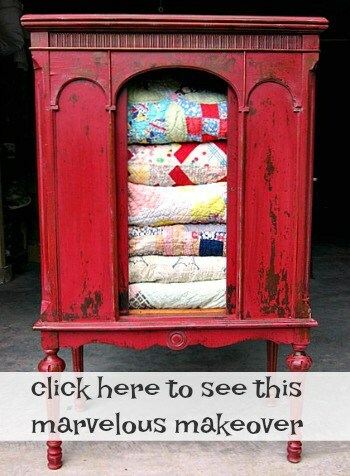 I’m featuring the furniture in the PoPP Spotlight this week. Thanks for linking up. They have a nice sleek look now. Great job. Thanks Rosemary. 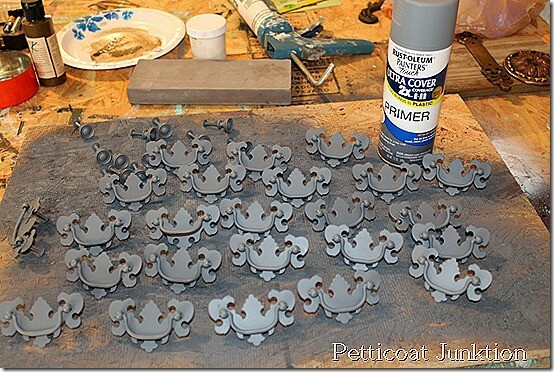 Love the little crowns you’ve been making! I love the dark gray! May I ask what shade it it? TIA! I’ll get the name for you Kate. It’s slipped my mind so I need to find the paint sample. It’ a great color! 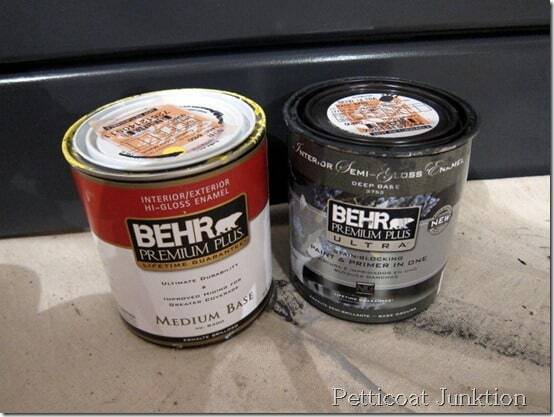 Its Evening Hush, a Behr sample.